Motorola Moto Z3 and Z3 Play allegedly leak out; is that a Samsung Galaxy-like dual curve screen? Lenovo and Motorola Mobility seem to be preparing an important design overhaul for most of the Moto phones that are scheduled to be launched this year. After seeing renders allegedly presenting the Moto X5 and the Moto G6 family, we can now also take a look at what appears to be the Moto Z3 series - including a regular Moto Z3, and a Moto Z3 Play. Like the Moto X5 and G6, the Moto Z3 and Moto Z3 Play have pretty thin bezels, which means Motorola is ready to ditch the not-so-modern design employed by last year's Moto Z2 Force and Z2 Play. According to Droid-life, both the Z3 and Z3 Play sport 6-inch displays with 1080 x 2220 pixels and 18:9 aspect ratios. As you may notice by checking out the second image below, the screen of the Moto Z3 seems to be slightly curved at the edges, à la Samsung Galaxy, though this may be just an illusion that this particular render is giving. For now, there aren't too many details regarding the specs of the Moto Z3 and Z3 Play. However, Droid-life has it that a third Moto Z3 model (not pictured yet) is also in the making - this should be the most advanced model of the bunch, reportedly featuring a Qualcomm Snapdragon 845 processor and a higher-res display. There are no visible fingerprint scanners on these alleged Moto Z3 and Z3 Play. But, similar to the Moto E5 (another upcoming Motorola phone), the two handsets could have fingerprint sensors embedded into the rear Moto logo, just below the main camera. Or maybe they'll feature in-display fingerprint readers? We'll just have to wait and see. 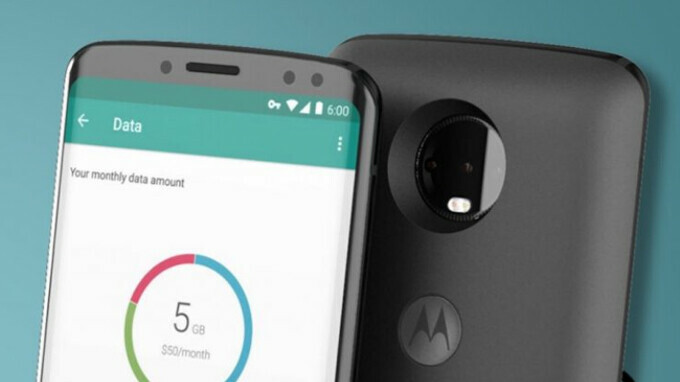 Since the Moto Z2 series was announced in the summer of 2017, the Moto Z3 family could be officially unveiled this summer. Assuming the new smartphones look like the devices seen in this article, do you think you'll like them? O no, I dislike the curve screen on my Samsung s7 edge, it replete light from the sides, much prefer flat screen design. Yes. I find exactly the same thing. When turned off it looks amazing. The curved screen just isnt practical. My next phone I will be avoiding curved screens and also stupid super long, skinny ones. So.. If phone is 18:9 , height increases and width decreases. Will the current Moto Snaps work? They can change the screen size and ratio without affecting the body, they hadveplenty of bezel to work with ( i have a z and z2 force). To change from 16:9 to 18:9 with same body size, phone needs to have same height with way thicker side bezels to keep width. They could maintain the width and make it taller. And taper the back etc. I thought the Moto Mods are supposed to work for 3 generations of the phone? This looks like they changed the magnetic port on the back of the device. The moto z2 force was announced last July, the moto z was announced around July of 2016. Why on earth are people giving those leaks so much credibility when moto is know to announce their flagship phones around July? Like do you expect the entire moto line up for 2018 to have its promotional pics ready from now and leaks to the internet? Damn. The Z3 looks good. I like that they are keeping the same character, but it needs something extra besides the curved edges and 18:9 aspect ratio. I'll reserve the rest of my judgement until we see an actual leak. The Z3 doesn't look too bad. I used to have a Z2 force. I loved the phone except for the lack of a headphone jack and the shattershield screen was awful scratched very easily. Hope they switch to gorilla glass or at least improve the shattershield screen to where it won't scratch. If the Z3 has wireless charging and waterproofing I may consider switching back to Moto. With the three cameras on the front of the Z3 I wonder if it will have an iris scanner? Go with the flow Moto remove the name from the bottom and top of the device.. The design y'all used last season was ok just trim down the bezels and y'all should be good. If they put the fingerprint scanner on the back that means I will have to remove my mod every time I want to unlock my phone? Unlikely... Also, if they use a curved screen I will not get the Z3. I had the Galaxy S7 edge and it was a horrible experience. Difficult to pick up, unwanted touches all the time. Minimal bezels are fine with me, curved screens are a gimmick ala 2015 that needs to die already. Enough with this pushing things to the max for the sake of bragging. Just make it usable and people will buy it.